Thanks For The Memories : Goodbye Yahoo Messenger , Hello "Squirrel" | Brainguru Technologies Pvt Ltd.
Home / Uncategories / Thanks For The Memories : Goodbye Yahoo Messenger , Hello "Squirrel"
Thanks For The Memories : Goodbye Yahoo Messenger , Hello "Squirrel"
Yahoo!, a web service provider owned by Oath, on July 17 pulled the plug on its internet-based instant messaging service the Yahoo! Messenger, putting it to rest after a long run of around 20 years. 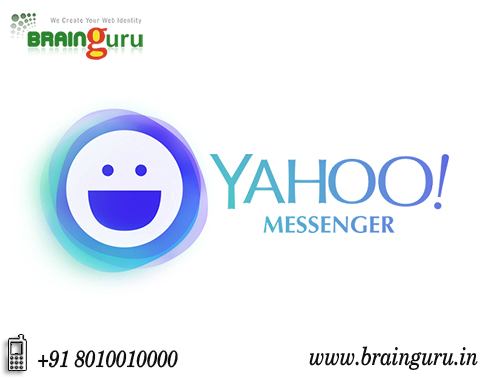 Launched by the Stanford graduates Jerry Yang and David Filo in 1998, the Yahoo Messenger became the most used service of its time as it provided an alternative solution to time-consuming email and costly short message services (SMS). For a lot of '90s kids in India, logging into Yahoo Messenger after school to "buzz" their friends became one of their first experiences of the World Wide Web. However, as Yahoo confirmed earlier that it would be shutting down its once-popular messaging app on July 17, it's time for nostalgia to flood the Internet. According to reports, users will have six months to download their chat history, and those who try to use Yahoo Messenger today will be redirected to the new group messaging app Squirrel. As an alternative arrangement, users have the choice to use the Squirrel service which has the chat and other features that YM offered. The Squirrel app is available on both Android and iOS for download. While YM users will be automatically redirected to Squirrel, new users can ask for an invite to join Squirrel and take it forward from there. If you are having a account on Yahoo Messenger , then you went through an piece on these columns where there are ways to download your chat history and can save to your mobile or desktop. If you want Account Key to download the chat history or planning for shift to Squirrel, then there is a process to shift your YM chat history to a separate folder within Squirrel. Once you have your required data, you can uninstall the Yahoo messenger from your device.Therefore, there are already many messages and memories being exchanged on the net about YM and also many couples managed to know each other through the messenger service and are now feeling sad to see it go! !